An arcade adventure map made for Minecraft 1.9 (Now updated for MC1.11)! You'll have to glide down to the centre of the earth using the lab's new technology: The Thermal Flight Armor 1541 (Attached with the Minecraft 1.9 Elytras!) But of course, gliding downwards at insanely fast speeds isn't as easy as it sounds... So, are you tough enough? Can you handle the speed? 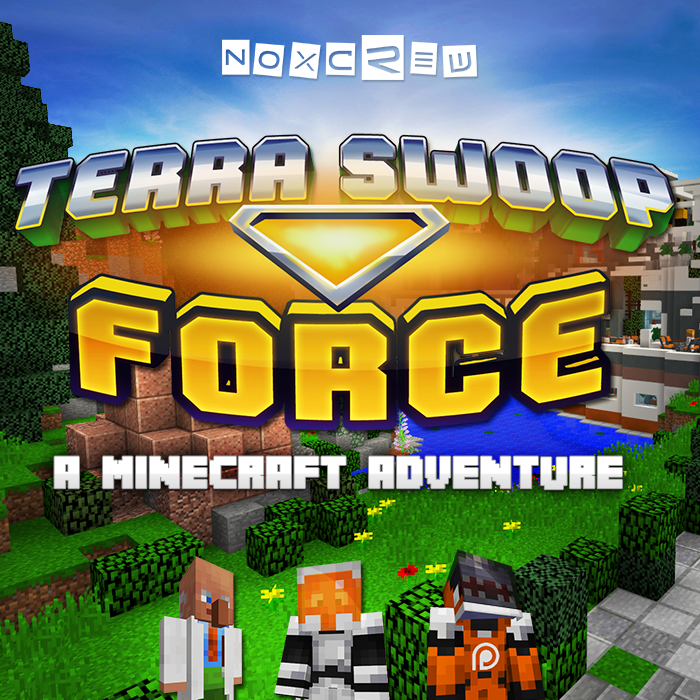 Then enlist to the Terra Swoop Force today! BEST MINECRAFT MAP EVER ! 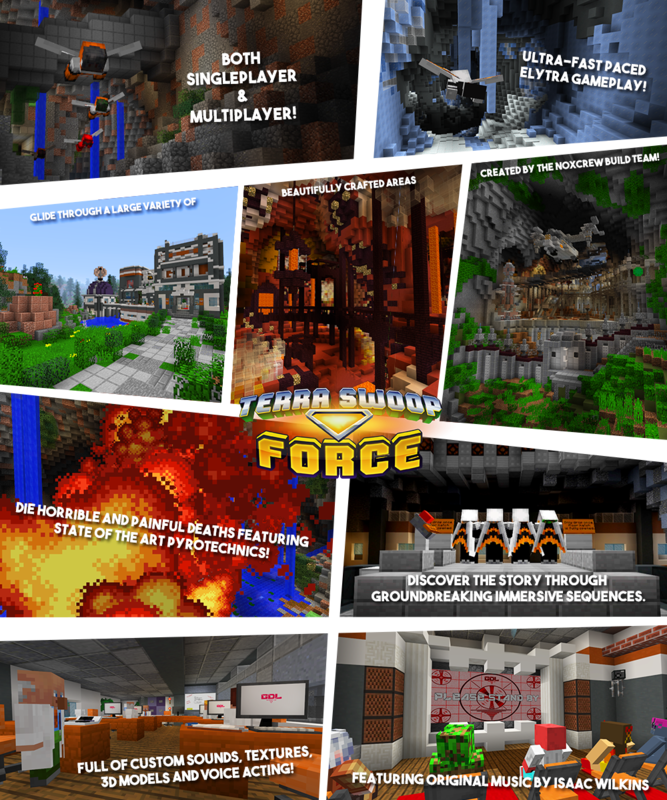 Are there any resource pack to install? And where can I find them? Very very nice map! I love it so hard! When I click on download nothing happens can you please explian what's going on? Sounds like something could be wrong with your browser. Try a different one? Amazing map, tons of fun. One of my favorites, ever! Played with 6 players, amazing experience. Very recommended! I didn't finish the map, but I LOVED IT!! !